“Education is an admirable thing, but it is well to remember from time to time that nothing that is worth knowing can be taught – Oscar Wilde who was born on this day in 1854. 456 Magister militum Ricimer defeated Emperor Avitus at Piacenza and becomes master of the Western Roman Empire. 1384 Jadwiga was crowned King of Poland, although she was a woman. 1758 Noah Webster, American lexicographer, was born (d. 1843). 1781 George Washington captured Yorktown, Virginia after the Siege of Yorktown. 1793 Marie Antoinette, was guillotined. 1793 The Battle of Wattignies ended in a French victory. 1813 The Sixth Coalition attacked Napoleon Bonaparte in the Battle of Leipzig. 1834 Much of the ancient structure of the Palace of Westminster burned to the ground. 1841 Queen’s University was founded in Kingston, Ontario. 1843 Sir William Rowan Hamilton came up with the idea of quaternions, a non-commutative extension of complex numbers. 1846 William TG Morton first demonstrated ether anesthesia at the Massachusetts General Hospital in the Ether Dome. 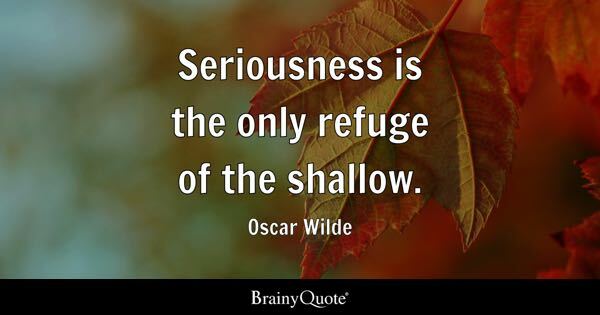 1854 Oscar Wilde, Irish writer, was born (d. 1900). 1859 John Brown led a raid on Harper’s Ferry, West Virginia. 1869 The Cardiff Giant, one of the most famous American hoaxes, was “discovered”. 1869 Girton College, Cambridge was founded, becoming England’s first residential college for women. 1875 Brigham Young University was founded in Provo, Utah. 1882 The Nickel Plate Railroad opened. 1890 Michael Collins, Irish patriot, was born (d. 1922). 1906 The Captain of Köpenick fooled the city hall of Köpenick and several soldiers by impersonating a Prussian officer. 1914 – The main body of NZEF sailed to war. 1916 Margaret Sanger founded Planned Parenthood by opening the first U.S. birth control clinic. 1922 Max Bygraves, English singer/songwriter, was born (d 2012). 1923 The Walt Disney Company was founded by Walt and Roy Disney. 1925 Angela Lansbury, English-born actress, was born. 1928 Mary Daly, American feminist philosopher and theologian, was born (d. 2010). 1934 Chinese Communists began the Long March. 1936 Jean Batten crossed the Tasman on the last leg of her flight from Britain, landing in Auckland 10 1/2 hours after leaving Sydney. 1940 Benjamin O. Davis Sr. was named the first African American general in the United States Army. 1940 The Warsaw Ghetto was established. 1943 Fred Turner, Canadian bass player (Bachman-Turner Overdrive), was born. 1945 The Food and Agriculture Organization was founded in Quebec City. 1946 Nuremberg Trials: Execution of the convicted Nazi leaders of the Main Trial. 1949 Nikolaos Zachariadis, leader of the Communist Party of Greece, announced a “temporary cease-fire”, effectively ending the Greek Civil War. 1951 The first Prime Minister of Pakistan, Liaquat Ali Khan, was assassinated. 1964 Soviet leaders Leonid Brezhnev and Aleksey Kosygin were inaugurated as General Secretary of the CPSU and Premier, respectively. 1968 United States athletes Tommie Smith and John Carloswere kicked off the USA’s team for participating in the 1968 Olympics Black Power salute. 1968 Rodney Riots in Kingston Jamaica, inspired by the barring of Walter Rodney from the country. 1970 In response to the October Crisis terrorist kidnapping, Prime Minister Pierre Trudeau of Canada invoked the War Measures Act. 1973 Henry Kissinger and Le Duc Tho were awarded the Nobel Peace Prize. 1975 The Balibo Five, a group of Australian television journalists then Portuguese Timor (now East Timor), were killed by Indonesian troops. 1975 Rahima Banu, a 2-year old girl from the village of Kuralia in Bangladesh, was the last known person to be infected with naturally occurring smallpox. 1975 The Australian Coalition opposition parties using their senate majority, voted to defer the decision to grant supply of funds for the Whitlam Government’s annual budget, sparking the 1975 Australian constitutional crisis. 1978 Pope John Paul II was elected after the October 1978 Papal conclave. 1978 – Wanda Rutkiewicz was the first Pole and the first European woman to reach the summit of Mount Everest. 1984 Desmond Tutu was awarded the Nobel Peace Prize. 1986 Reinhold Messner became the first person to summit all 14 Eight-thousanders. 1986 Ron Arad, Israeli Weapons System Officer, is captured by Lebanese Shi’ite militia Amal. 1987 Great Storm of 1987: Hurricane force winds hit much of the South of England killing 23 people. 1991 Luby’s massacre: George Hennard ran amok in Killeen, Texas, killing 23 and wounding 20 in Luby’s Cafeteria. 1993 Anti-Nazi riot in Welling in Kent, after police stopped protesters approaching the British National Party headquarters. 1995 The Million Man March in Washington, D.C.
1995 – The Skye Bridge over Lock Alsh was opened. 1996 Eighty-four people were killed and more than 180 injured as 47,000 football fans attempt to squeezed into the 36,000-seat Estadio Mateo Flores in Guatemala City. 1998 Former Chilean dictator General Augusto Pinochet was arrested in London on a warrant from Spain requesting his extradition on murder charges. 2002 Bibliotheca Alexandrina: a commemoration of the Library of Alexandria that was lost in antiquity, was officially inaugurated. 2006 A magnitude 6.7 earthquake rocked Hawaii. 2012 – The extrasolar planet Alpha Centauri Bb was discovered. 2013 – Lao Airlines Flight 301 crashed on approach to Pakse International Airport in Laos, killing 49 people. 2014 – Belgrade Military Parade. 2017 – Hurricane Ophelia caused loss of power and damage to 360,000 homes in Ireland and caused three deaths.